Office blogger Charlie offers some great Beach Party dressing-up tips. The summer sunshine is well and truly upon us, which means that your little scamps are most likely home for the next few weeks. You know what that means – ice creams in the park, day trips to the seaside and your favourite board games when it rains. Whilst it’s true that most parents can find the first few days of the summer holidays a bit stressful, it’s all about finding your rhythm and working out how best to spend time with the kids. If you’ve got a car and the freedom to hop off to the coast for the afternoon, you could be building sandcastles by dinner-time. If you don’t drive, however, the fun has to come to you – that’s where the experts at DNA Kids come in. We can help you to throw a summer Beach Party to remember, all within the comfort of your own back yard through a venue of your choice. If you decide to book our fantastic Beach Party package, we’ll bring the summer fun right to your door. 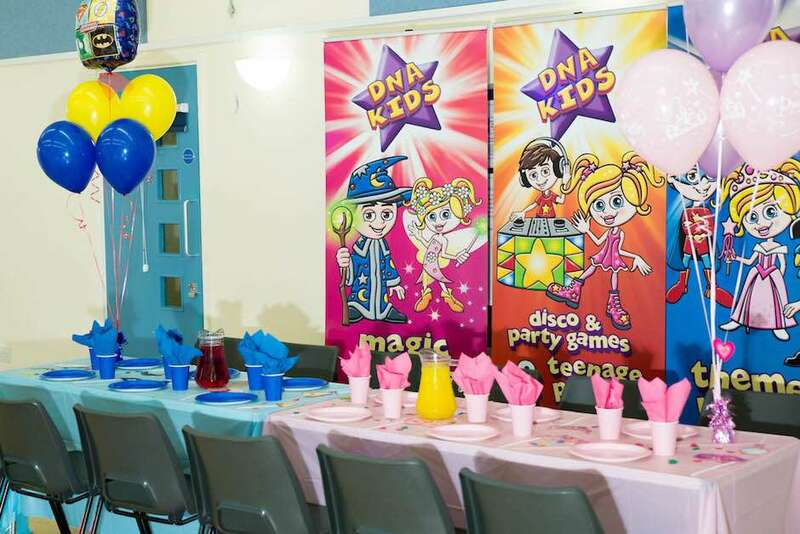 We’ll not only provide all of the equipment needed to throw a summer disco to remember, we’ll also send a fully qualified and DBS checked children’s entertainer to take charge of the party games and activities. With super energetic games like Don’t Forget Your Passport and Surfer Dudes Vs Hula Girls Limbo on the party agenda, you’re going to need somebody to keep an eye on your guests. 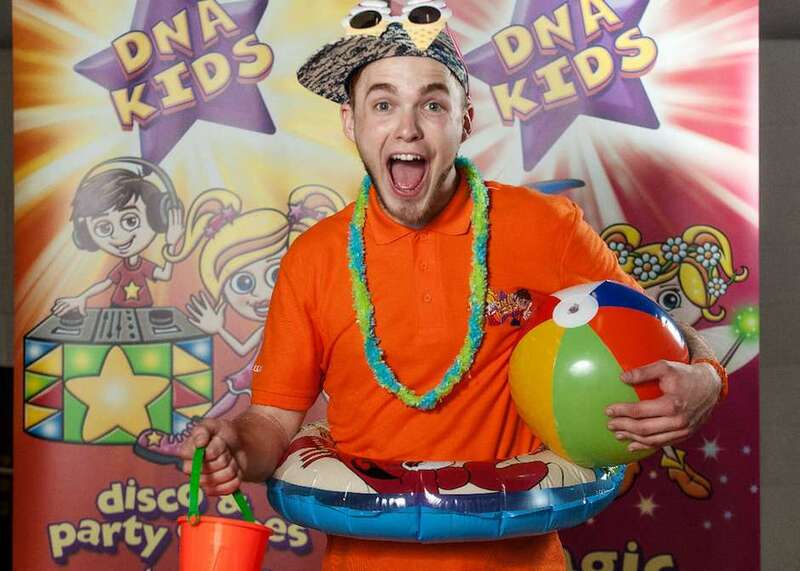 It’s the job of the entertainer to take complete control of your Beach Party, so that you can chill out in the sunshine and thank your lucky stars you picked DNA Kids this Summer. This is one of the most popular fancy dress costumes for Summer, because it’s easy to put together and easy to wear. For the boys, a pair of board shorts and a wacky Hawaiian shirt is all that’s needed – the more colourful, the better. For the girls, there’s nothing better than a Hawaiian grass skirt. You can buy one from a fancy dress store, or you can make your own out of ribbon and crepe streamers. We recommend that you design this grass skirt so that it can be easily taken off and put back on. With our Beach Party package, you get the use of a free bubble, sea foam or smoke machine and you don’t want to be tripping over a grass skirt when it comes time to play catch the bubbles. If you like our page on Facebook, we’ll include a second machine at no extra cost! You’d best keep your eye open for pirates during your DNA Kids Beach Party. They might not be out to get a suntan, but they do love a game of Blackbeard’s Twisted Treasure Hunt. If your little boy or girl is mad for pirates, why not let them relish their dastardly side this summer? Once again, you can pick up a pirate costume from almost any fancy dress store – it’s a lot more fun to make your own, though. You need a black waistcoat, a striped top, a pair of loose pants, an eye patch and a bandana – if you’re looking for that authentic pirate look, tuck the pants into wellington boots so that they look just like culottes. 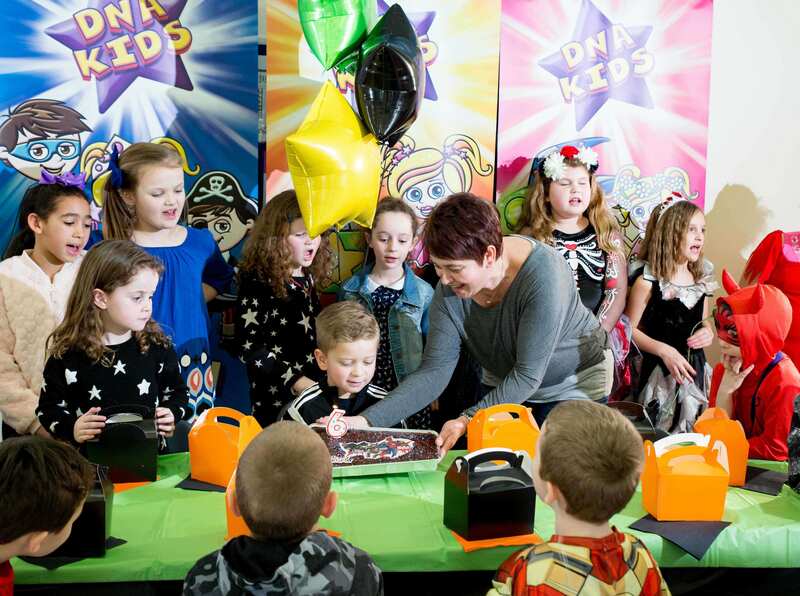 If your child really can’t get enough of pirates, you can always swap the DNA Kids Beach Party package for our Princesses, Heroes and Pirates Party. You’ll be pleased to know that this is another very easy outfit to put together – after all, what’s the point of letting the DNA Kids entertainer take over for the day, if you’ve got to spend a week putting together a fancy dress costume? 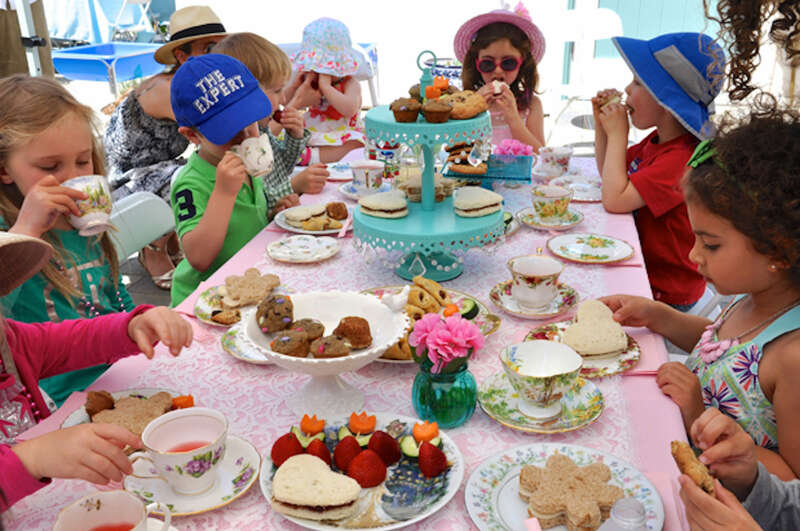 We’re here to make your Summer Beach Party as stress free as possible – whether that means providing the sweets and prizes for a whole host of party games, or just throwing out some useful fancy dress ideas. If you want to be a surf master, you’ve got to throw on your bathing suit and really rock those superstar sunglasses. This is a perfect outfit for the height of Summer, when it’s scorching hot outside – just make sure that your guests have a warmer outfit ready, just in case the sun decides to hide behind the clouds later on in the day. If eye patches and Hawaiian shirts aren’t for you, you can always instruct your guests to turn up looking super glamorous. As we all know, pirates and surf dudes aren’t the only people who like to hang out at beach parties – film stars and pop songstresses like making sandcastles as much as the rest of us. It’s lucky that our Beach Party package comes with all of the equipment needed to make you forget that you’re not actually at the seaside – buckets, spades, beach balls, inflatable rings and much more. If your little one wants to be the belle of the beach, pick out an outfit perfect for a summer princess and download our specially designed Beach Party invitations (emailed to you at time of booking). They’re a fun and easy way to make sure that everybody knows about your DNA Kids Summer Beach Party. So there you have it, a few beach party fancy dress ideas to ensure your beach party goes swimmingly! We’d love to hear your beach party ideas so let us know what floats your boat.